This was our first time at the Duclos & Thompson open barn, an event that for many local families is an annual sign of spring — much like the appearance of sap buckets on the maple trees, or red-breasted robins, or removing your snow tires. Like those other rites of spring, it’s quite possible that the new lambs and piglets will arrive when there’s still snow on the ground; that March weekend, there was a mountain of snow next to the Duclos & Thompson barn that served as a secondary diversion for all the children present. 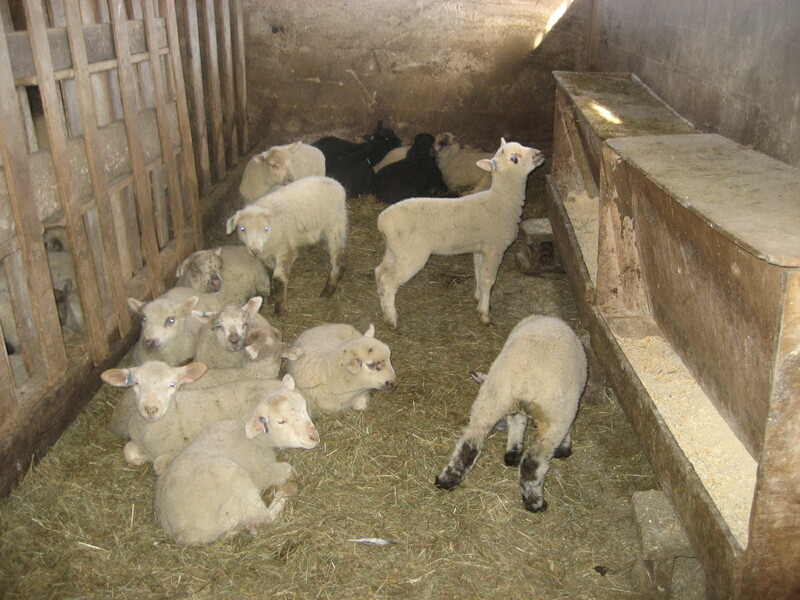 The primary attraction, of course, was inside the barn: lambs! Two floors worth of black and white lambs sleeping, eating, frolicking, and climbing atop the bigger sheep. So many lambs, plus a little pile of piglets nursing on their mama. It was a cuteness bonanza.